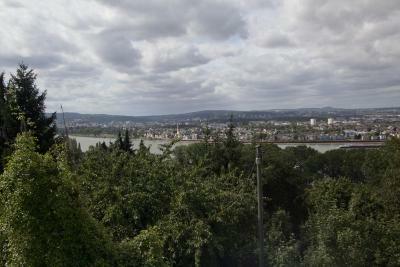 The location was near Koblenz and very quiet. Did hear some train traveling noise early in the morning but no whistle blowing. The breakfast was in another building and was late the morning we were there, but it was good. An excellent small hotel with picturesque surroundings. The hotel itself offers the necessary comforts and typical 'German' breakfast that one would expect. The evening menu has enough choice and was thoroughly delicious although it is on the 'pricey' side, so could be advised to seek other restaurants or dining options. A positive experience. Parking however is limited and you'll definitely need to use your handbrake! Nice big rooms, personnel very friendly. Breakfast was lovely & possible to eat in the hotel of an evening. Trevlig rustik miljö. Tycker om mindre familjehotell men mera personlig bemötande. Es gibt zwei Hotels ein älteres und ein neues. Wir hatten ein Zimmer im neuen Hotel. Das Zimmer war sehr schön. Sogar ein Kühlschrank bzw. Minibar war im Zimmer. Trotzdem (s.u.) ist das Preis-Leistungs-Verhältnis und die Qualität der Unterkunft gut bis sehr gut. Das Personal/ der Chef ist freundlich und konnte mir sogar einen Wecker leihen. Prima locatie, hotelkamer zeer netjes, wel gehorig maar qua ruimte en hygiene netjes! Die Lage ist nahe Koblenz wunderbar. Die Zimmer sind neu renoviert, hell und freundlich eingerichtet. Hotel Rhein-Mosel-View This rating is a reflection of how the property compares to the industry standard when it comes to price, facilities and services available. It's based on a self-evaluation by the property. Use this rating to help choose your stay! Just 1,950 feet from the River Rhine, this family-run hotel offers modern rooms and free Wi-Fi. 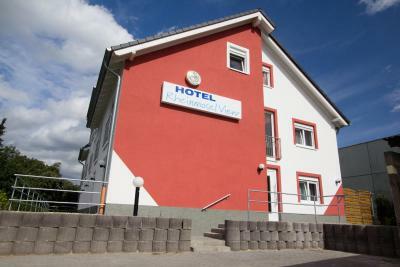 The Hotel Rhein-Mosel-View is located in the quiet town of Urbar, only 3.7 mi from Koblenz. 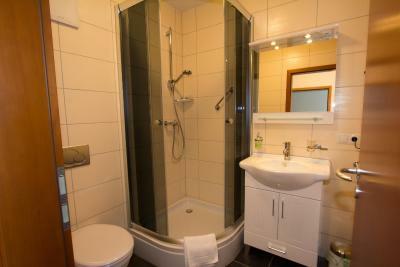 Stylish rooms at the Rhein-Mosel-View include a flat-screen TV, laminate flooring and an private bathroom with a shower. 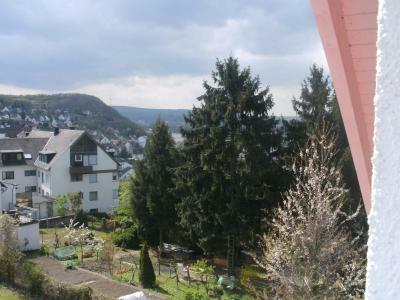 Some rooms offer views of the town and the River Rhine. A buffet breakfast is served daily at this nonsmoking hotel, and there is a traditional restaurant only 50 feet away. Guests can also enjoy a drink at the hotel’s bar. The surrounding Rhineland countryside features many scenic walking and cycling trails. The hotel is a great base to visit the Deutsches Eck, where the River Rhine and Moselle meet (3.7 mi away). 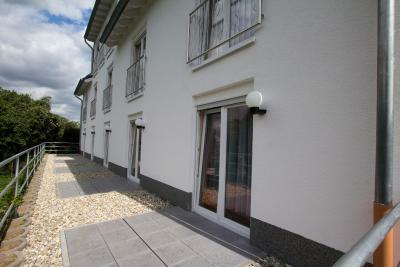 Hotel Rhein-Mosel-View is a 10-minute drive from the A48 motorway, and free private parking is available for guests. 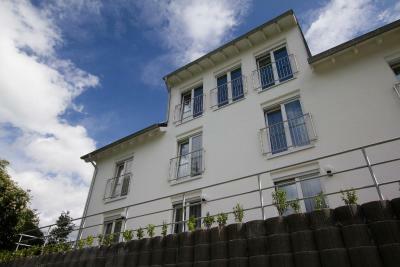 When would you like to stay at Hotel Rhein-Mosel-View? 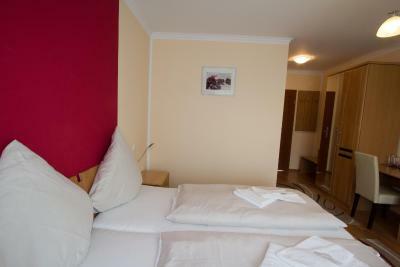 Bright and modern room featuring a flat-screen TV, free Wi-Fi and an private bathroom with a shower. 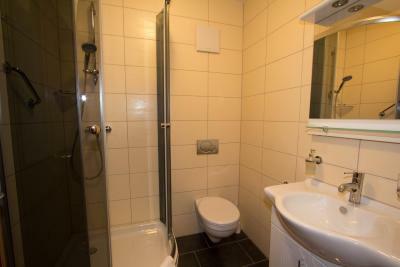 Bright and modern room featuring a flat-screen TV, free Wi-Fi and an private bathroom with a shower. This room also includes a sofa bed. House Rules Hotel Rhein-Mosel-View takes special requests – add in the next step! Hotel Rhein-Mosel-View accepts these cards and reserves the right to temporarily hold an amount prior to arrival. NO view of rivers at all, even though stated in the hotelname! NOT possible to pay by the annouced credit cards - had to withdraw cash at bank (against fee!) No shops or restaurants nearby. Reception in a different building which one is unaware of until trying to access the 'hotel' building. Rooms adequate but short on comfort although the site is quiet. The only view of a river is a glimpse of the Rhine from the car park. The breakfast was late and the internet was very slow. We couldn't pay with credit cards, probably because of the slow internet. Their English was limited. During the check-in, I agreed with the hotel reception to shorten my stay from 4 to 3 nights and they confirmed that it is okay without any problem or fees. After one day from the check out, I was surprised that they have charged to me a cancellation fee and they argue that by saying that the rooms were empty. The hotel is situated in a small city where there is absolutely nothing to see. The room is much smaller than what to expect from the photo. Very small shower. Not enough parking at the hotel, had to put my car at a 15 minutes walk! When wanted to pay with my credit card the boss said the machine was broken!! Poor classical excuse to work only with black money. Very little parking, a little out of the way for visiting Koblenz. Some problems to connect to WiFi if you are going for work.